Filing for bankruptcy is not something to be taken lightly. It's serious business, with ramifications for your financial future for years to come. That's why you need the help of an experienced attorney. 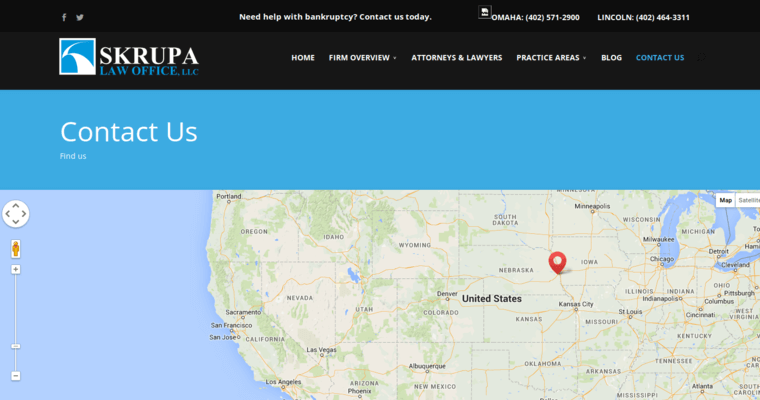 Skrupa Law Office, LLC is one of the top bankruptcy firms in Nebraska. Skrupa's attorneys have handled thousands of bankruptcy cases, giving them the expertise and experience they need to help you get a successful outcome. Whether you need to totally wipe out your debts by filing Chapter 7 bankruptcy or you just need to reorganize your finances via Chapter 13, Skrupa Law Office, LLC can help. The firm's founder, Frank Skrupa, is one of the only nationally certified bankruptcy specialists in Nebraska. 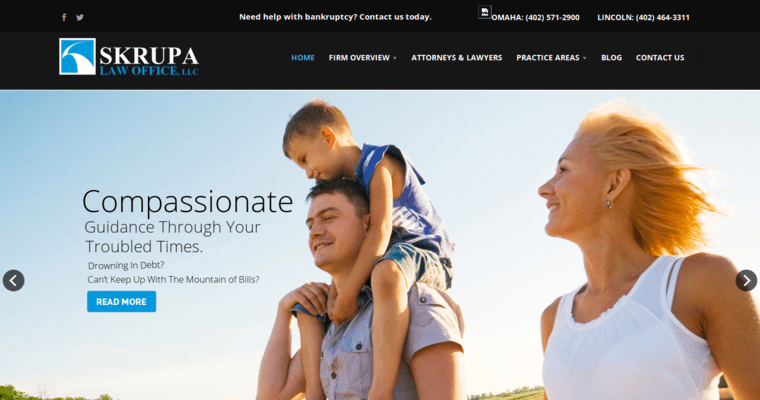 Skrupa Law Office, LLC has offices in both Omaha and Lincoln. If you are thinking bankruptcy may be the answer to your financial problems, call today to discuss your options.